Do the Lot! This ultimate travel pass ventures off the beaten track in Thailand, Laos, Cambodia and Vietnam and is ideal for travellers who have 2months or more to explore! Discover the sprawling metropolis of Bangkok with its mouth-watering street food and vibrant nightlife. Travel north in Thailand via ancient Ayutthaya and adventurous Chiang Mai, before crossing the border to Laos for a relaxing journey by boat through lush farmland and rugged mountains to the riverside village Ban Pak Nguey. Laos will blow you away with its amazing wilderness and wildlife. You’ll follow narrow mountain roads to scenic rivers and waterfalls, discover underground rivers and caves, visit UNESCO World Heritage sites and experience rural village life with a unique homestay experience. In Cambodia you’ll visit the awe-inspiring Angkor Wat, uncover Cambodia’s gruesome history at the Killing Fields and S21 Prison, try the local cuisine and chill out on the beautiful beaches in the south. Explore Vietnam's buzzing cities, travel through stunning mountain scenery, experience Vietnamese hospitality and local cuisine. Explore newly discovered caves, cycle through rice paddies, visit National Parks, swim in secret swimming spots, traverse tunnels from the Secret War; and relax on some of Asia's finest beaches. Ultimate travel flexibility – pass is valid for up to 12 months from first day of travel. Knowledgeable Local Guide/and or Western Tour Leader to provide invaluable knowledge, support and local insight and to assist with booking accommodation and activities at every destination. 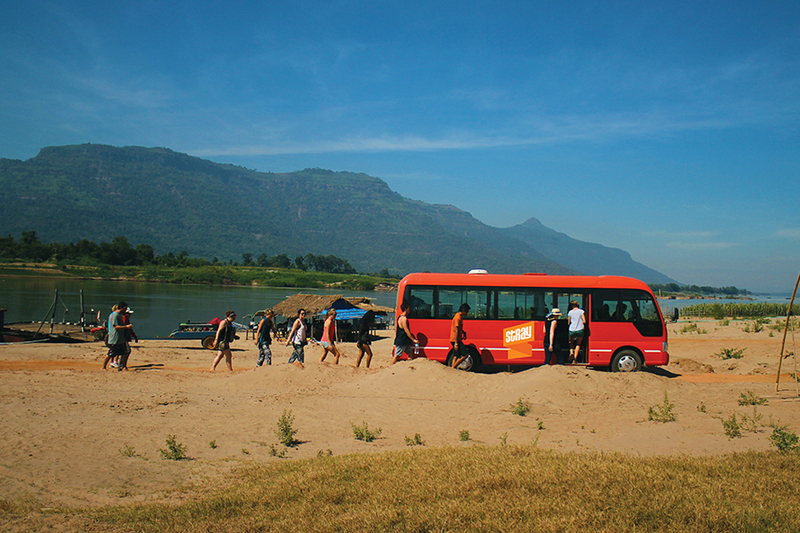 All transport – whether it be bus (comfortable, and air conditioned private charter bus) boat, train, or even tuk-tuk! Your adventure kicks off 8am at the Stray Bangkok shop where you will meet your Stray guide and group. After a brief induction to how Stray works you will depart for the UNESCO World Heritage site of Ayutthaya. You arrive mid-morning, giving you plenty of time to explore the fascinating historical park by bike or enjoy a boat journey through the “Venice of the East”. We leave late evening to Chiang Mai. After a chilled out morning, you depart after lunch and visit the famous and intriguing White Temple (Wat Rong Khun), then continue on to the border town of Chiang Khong to enjoy our last night in Thailand. A short boat ride across the Mekong River whisks you away towards Huay Xai, Laos. You will clear customs before boarding the boat to Pakbeng. Sit back and soak up the incredible journey as the river winds through lush farmland, rugged mountains and jungle. You will spot water buffalo, mountain-side rice paddies, local fishermen, and kids splashing in the shallows. Arrive in the remote village of Pakbeng late afternoon and stay overnight by the river. Leaving Pakbeng early, continue your journey down the Mekong to the secluded village of Ban Lad Khammune. Here you will experience traditional village life by staying with a local family in their home. Attend a Baci (welcoming) Ceremony and have a chance to wander around the village, watch the women weaving or try your luck in a friendly game of petanque in the square! Wave goodbye to the village and jump back aboard Strays private boat downriver to the famous Pak Ou Caves. Here you will see thousands of Buddha images that were placed throughout the caves over a period of hundreds of years. A short trip takes you into the stunningly beautiful Luang Prabang, a UNESCO World Heritage town with a fusion of French colonial architecture and traditional Lao buildings. This is home to the famous Kuang Si waterfalls, a bear sanctuary, ancient Buddhist temples and many sacred sites. It’s an early start as you head south through mountainous terrain, taking in the breathtaking views. Upon arrival into Vang Vieng there is plenty of time to go tubing, cycling, kayaking, rock climbing, hot air ballooning, start partying or even kick back and watch re-runs of old TV shows playing at the bars around town! Today you will cruise through to the capital of Laos and take a tour of the city’s main attractions: Putaxai, Pha That Luang, That Dam, the Presidential Palace, and the COPE centre – a non-profit organisation that educates visitors and raises awareness for victims of UXO (Unexploded Ordinance) and the Secret War. 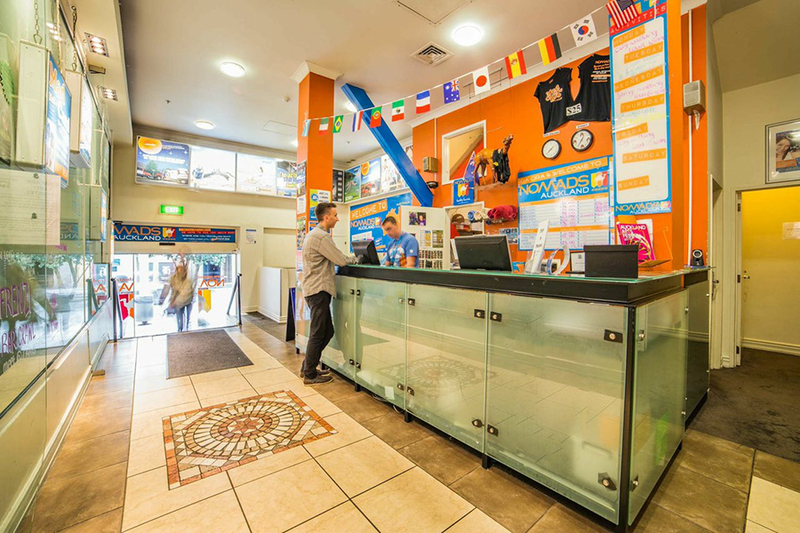 After check in at your centrally located accommodation, you are free to get a massage, go shopping at the night market, or watch the action from one of the local restaurants by the river. An early escape this morning takes you away from the crowds and south to Kong Lor, and the Phu Hin Bun National Park. About an hour into the journey you will visit Wat Prabat Phonsone, the “Buddha’s Footprint” temple, which has become an important pilgrimage site for local communities. There is time before sunset to explore the Kong Lor village and take in the stunning scenery of the surrounding rice paddies and limestone Karst Mountains. This morning you’re free to head down to the Cave (or Tham Kong Lor to the locals) and venture deep into the 7km abyss! Ride in a traditional motorised canoe and take in the amazing rock formations, swim in the cool waters of the cave entrance. You also have the chance to travel to Ban Tabak village and take a ride in a 'bomb boat'! These are made from the metal fuel casings of B52 bombers, dumped on Laos during the Secret War. Today is a short travel day, which includes a stop to view the “Great Wall of Tha Kek” before heading onto Pha Tam Kam, home of some of Southeast Asia’s best rock climbing and amazing lush, jungle scenery. For the adventurous crowd, there is the option to try out slack-lining or rock climbing, before heading back into town. 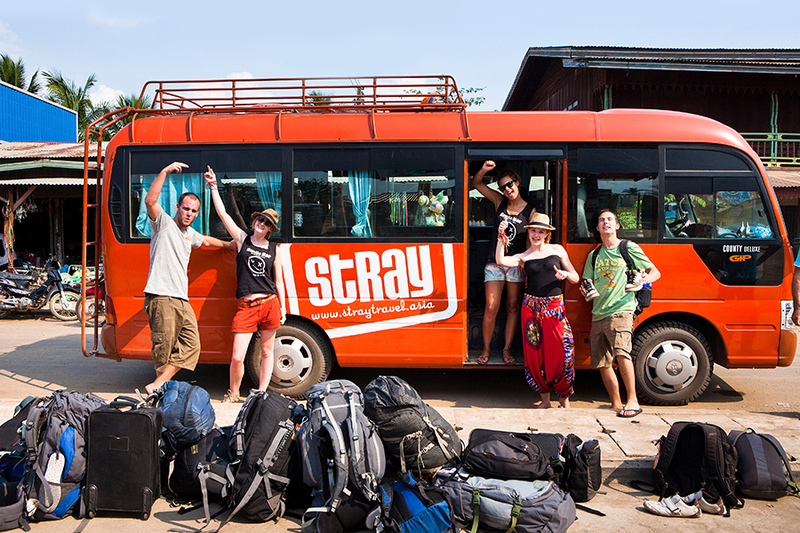 This is what Stray is all about, getting totally off the beaten track! Today you will head into Xe Champhone wetlands - an area so remote that occasionally Stray buses can't access it, so you have to jump on board an off-road truck! Along the way visit Old Wat Taleow, a beautiful temple bombed in 1969, then onto Turtle Lake where you might spot soft-shell turtles. The last stop for the day is the 200-year-old Hotay Pidok Buddhist library. Once here you will spend the night with the friendly locals in the Monkey forest, a sacred place and home to hundreds of wild Rhesus Macaque monkeys. Driving south this morning you head for the bright lights of Pakse. From here, you can check out the Bolaven Plateau with its cool climate, coffee and tea plantations, and spectacular waterfalls. An early start takes you to the World Heritage site of Wat Phou, an ancient Khmer temple. You’ll explore the site and climb to the mountain top temple, before heading south to the 4000 Islands area to experience its laidback lifestyle and natural beauty. Arrive around lunchtime giving you time to cycle across to the neighbouring Don Khone Island and visit Li Phi waterfall or take a boat trip for a chance to see the rare Irrawaddy dolphins. 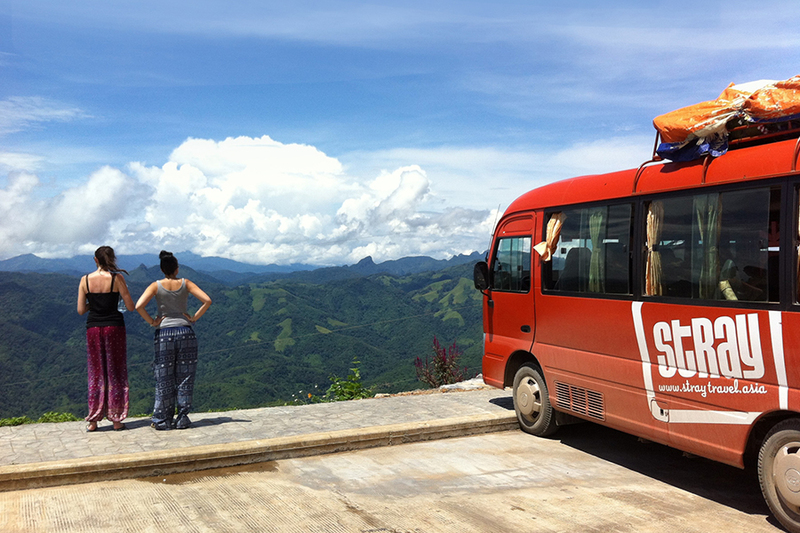 Saying goodbye to Laos, make an early start to join the public bus for the journey to Cambodia. A short drive will bring you to the Don Kralor Border where you will complete immigration procedures, then continue the journey into Cambodia, once again following the mighty Mekong River. Arrive in the majestic capital of Phnom Penh late evening, and you’ll get a chance to freshen up before meeting your new tour leader for dinner and drinks along the iconic waterfront. After a tour of the infamous Khmer Rouge S21 Prison and Killing Fields you will head for the Cambodian coast, passing through the river town of Kampot. Kampot is famous for its pepper and salt farms and delicious seafood - your local guide will show you the best spot to taste some! From Kampot you will head to the old French resort town of Kep where you board traditional Khmer wooden fishing boats for a 30 minute voyage to the island sanctuary of Koh Tunsay. Once on shore you can check out the island or just relax on the beach, and watch the sun go down. Tearing yourself away from the beach, a short drive takes you back to the town of Kampot where you will have a free afternoon to visit the pepper and salt Farms, do some cycling or trekking in Bokor National Park or take a sunset cruise up the river. A full day today will take you to a village homestay near the provincial town of Battambang. En-route you will visit the 18th Century Khmer stronghold of Udong, where you can hike to the mountain top pagoda or relax in a hammock and enjoy a local Khmer BBQ! Pass through Kompong Chhnang (pronounced kom–pong–ch–nang) with its bustling local market and floating villages along the river and delta area. The homestay tonight will give you a taste of local family and community life in the village with its seasonal farming, fishing, temple gatherings and festivals. After breakfast with your homestay family we drive into Battambang where you will take a ride on the Bamboo Train before an early lunch and drive to Siem Reap – home of the incredible Angkor Temples. Today is a free day for you to explore the magnificent Angkor Temples and take in some of Siem Reap’s vibrant markets and nightlife. Your guide will show you the best ones to head to first! Today you have an early start on your journey to the northern border region of Cambodia where you visit Preah Vihear, a sacred site and source of ongoing controversy for Thailand and Cambodia. On arrival at Preah Vihear Information Centre pick up motorbikes for the drive to the top of the mountain, with amazing views over the Cambodia and Thailand. After lunch continue to the overnight stopping point, the town of Kompong Thom. This morning visit a silk farm where you will have breakfast and learn about the silk making process. From here you will head for the bustling Cambodian capital of Phnom Penh. Along the way you will get the chance to sample a crunchy Cambodian favourite, fried spider! This local snack is found in the town of Skon where spiders are bred for human consumption. Once you have settled into your guesthouse, you have free time to visit the Royal Palace & Silver Pagoda, Wat Phnom and the Russian Market or mix with the locals as the sunsets over the Mekong River. This morning you’ll board a public bus and head to Moc Bai on the Vietnamese border, where you will be processed through immigration (you will need to organise your Visa in advance) and then driven on to Ho Chi Minh City arriving mid-afternoon. Leaving behind the chaos and heat of Ho Chi Minh City, you will head for the refreshingly cool climate of Dalat. Known as the honeymoon capital of Vietnam, this could be a good opportunity to pop the question! The journey today is through fertile farmlands that specialise in rubber, coffee & tea; all crops imported by the French. The cool climate here is perfect for growing Vietnam’s only locally produced wine, as well as vegetables and flowers, which are transported daily to Ho Chi Minh City and beyond. You can check out the large market near the guesthouse, or one of many friendly cafes selling excellent coffee on every corner. Dalat vaguely resembles a French town with sprawling old villas and towering pine trees. It is not on the main tourist trail so locals are curious and very friendly to western visitors. There are plenty of adventurous activities here, including a mountain bike ride to Datania Waterfall, or the last Emperor’s art deco-style summer palace, and the never-ending local coffee plantations. Driving through stunning mountain scenery you reach the provincial town of Buon Ma Thuot. Stock up on supplies before making your way out to the nearby rural area, and the homestay in an M’Nong ethnic village. Staying right on the shores of the beautiful Lak Lake, you can see local fishermen and farmers working, and even get the chance to take a boat ride across to the other side and return by elephant! This morning you will head for the coast and the seaside town of Quy Nhon – a popular holiday destination for Vietnamese, but off the beaten track for western tourists! Local hospitality is what makes this town well worth the visit. Jump straight into the warm ocean waters, to wash off the mountain dust from the day. A coastal drive takes you to this popular tourist spot, and UNESCO World Heritage town, with its beautifully restored and preserved French Colonial architecture. Hoi An is teeming with tailor shops, funky bars, outstanding restaurants, art galleries and souvenir shops. With glorious beaches nearby, this is close to paradise! A great spot to hop off enjoy the local nightlife; try great local delicacies (and beers), then meander home safely through the motorbike free streets. Located on the Perfume River, Hue is regarded as the cultural and spiritual centre of Vietnam and is the former home to the Vietnamese Emperors. You will see many elaborately decorated temples and beautiful pagodas throughout the area, the centerpiece of which is the Citadel and Forbidden Purple City. We highly recommend a countryside motorbike tour through quaint, rural villages and rice paddies to experience something of the ‘real’ Vietnam. A short drive up the coast this morning takes you through the old DMZ (De Militarized Zone), the border between North and South Vietnam during the Vietnam War, and to the provincial town of Dong Hoi. Dong Hoi is home to the Blind Massage Therapy Centre, and the quiet Nhat Le beach. Here you have the choice to cruise the river front by bicycle, get to know the local fishermen or just chill out at one of the evening street bars, with great views of the large bridge that is lit up with disco lights! Your journey toward the national park takes you through beautiful countryside with its stunning limestone kyrst mountains, stopping along the way at the ‘real’ Vietnam beachside town of Cam Lo. This chilled out spot is definitely not on the tourist trail…..yet! Try out the local seafood and have a swim before continuing your express journey on to Ninh Binh. This morning head to the Cuc Phoung National Park and Primate Centre, which is home to the many endangered and rescued primates including monkeys, gibbons and other interesting species native to the area. From here, stop for a swim at the local hot pools, and then continue on to Mai Chau, an isolated, minority hill-tribe haven set amongst towering cliffs. There is plenty of time this afternoon to go exploring in this rural valley of lush greenery and terraced fields of rice paddies. Get the legs moving with an early bike ride through the nearby countryside and villages, before jumping on the bus, bound for the chaotic streets of Vietnam’s capital. Hanoi is an exotic Asian city full of excitement and energy, and thousands of motorcycles making the simple task of crossing the road seem like a real achievement! This is where your Stray adventure ends, but there is plenty to do and see in and around Hanoi if you have some extra days to spend here. 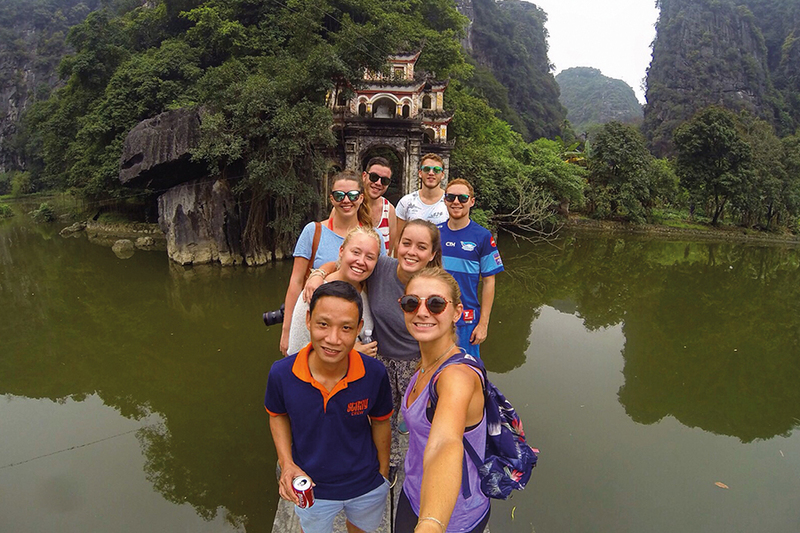 Boat trip to the Trang An Grottoes. Guided city walking tour of Hanoi.